- 9 x 50g/ 1.8oz. 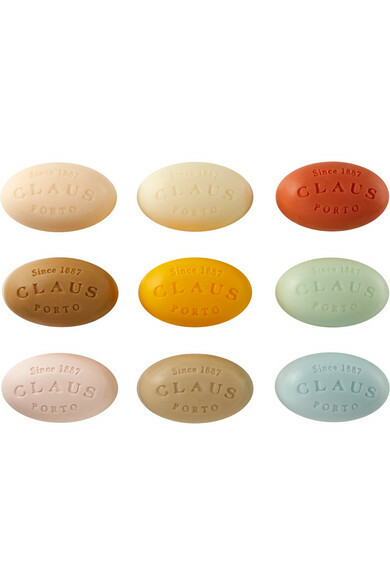 If you love retro-looking packaging, historic fragrance house Claus Porto will become a new favorite. 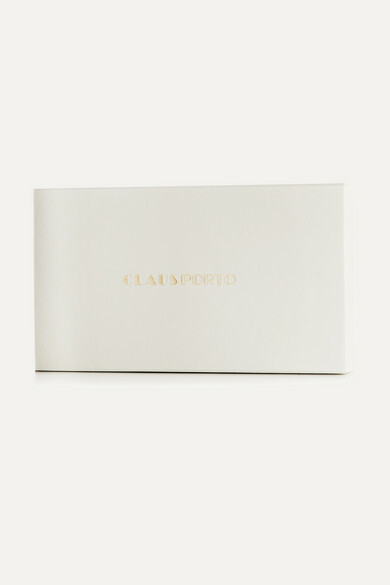 This gift box is filled with nine hand-wrapped mini shea butter-infused soaps covered in artfully illustrated paper inspired by Belle Époque Europe. 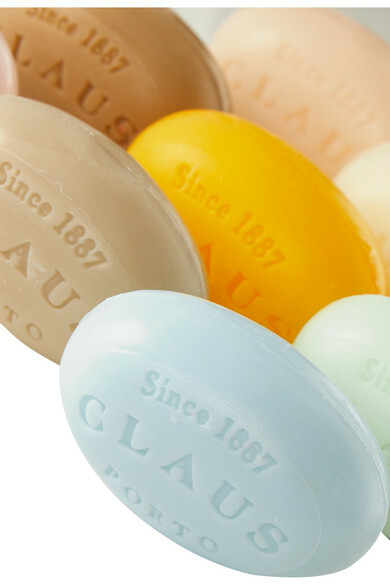 They're each blended with scents and ingredients fresh from Portugal's lush countryside.